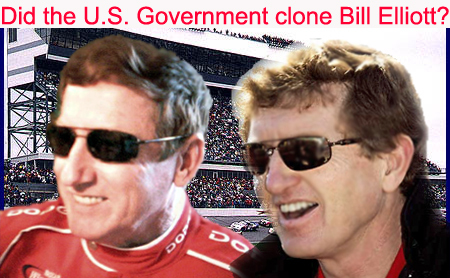 Tim appears as a Bill Elliott look alike impersonator for stock car racing theme events and promotions. 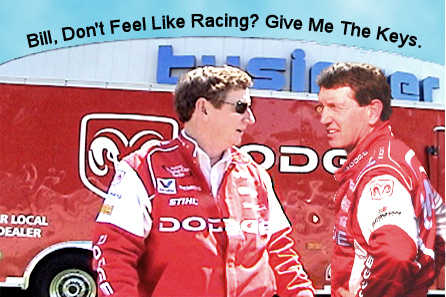 For years fans have mistaken Tim for the real Bill Elliott, the stock car racing legend because he looks every bit like a twin brother to one of the favorite drivers of all time. With the same red hair, complexion, features and lanky build, Tim is practically a mirror image of the man they call Awesome Bill Elliott or Million Dollar Bill. Tim always shares a smile with the crowds who come to join him for chats and photographs to fool their stock car racing fans. Tim appears for corporation events, retail promotions, festivals and stock car racing fan gatherings.